TasteMakers003: Various Small Flames « Adafruit Industries – Makers, hackers, artists, designers and engineers! TasteMakers is a new feature from the Adafruit Music team. In this sister series to MusicMakers, we will be talking to music writers, bloggers and brands about creative spaces, technology and DIY, as well as what inspires them and keeps them motivated to support and amplify the creators in their communities. 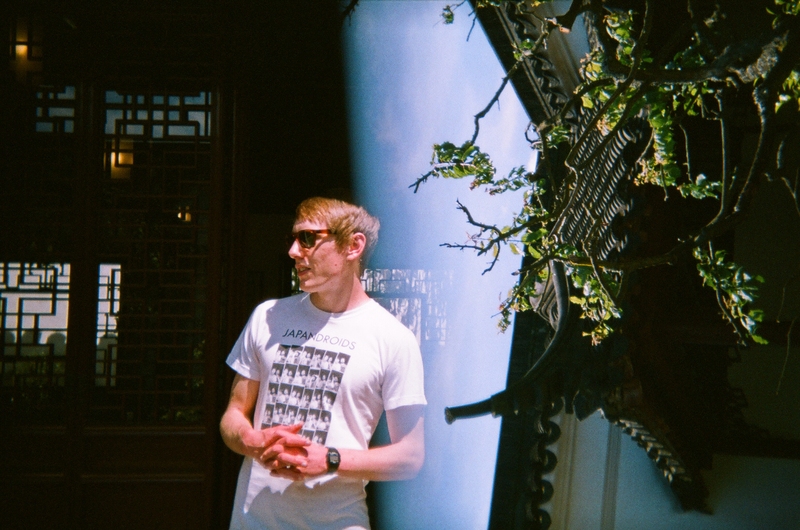 This week we’re talking to Jon Doyle from UK music blog Various Small Flames. 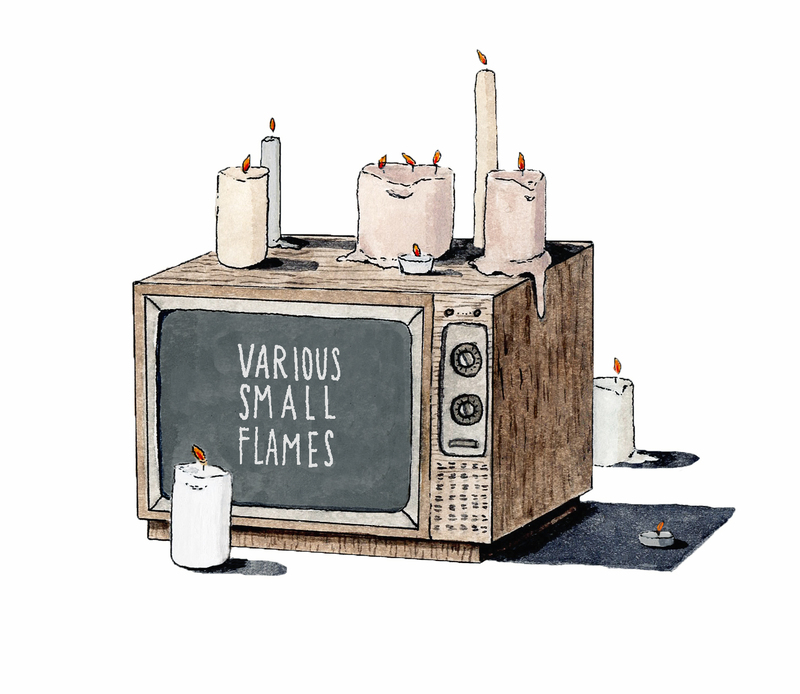 Various Small Flames has been a standout music site for me over the past couple of years. Always happy to take a listen to something new and possessing a willingness to dive deep into a record if they find something they really love, they offer a personal and incisive analysis that really sets them apart from a lot of others. Album reviews are getting increasingly rare in DIY press and album reviews that are this thoughtfully put together make me lament this fact. Though not the most prolific, the quality of their work and the judgement of their ear always makes their endorsement feel meaningful. Over the years they’ve tried a variety of things, including some really fun features like a Mystery Mini-Mix (an odd combination of buying a lottery ticket and making a mixtape), a series called Lit Links where people make a playlist to soundtrack their favourite book (goodness me these lads love Don DeLillo), pieces on the virtues of Physical Therapy (record buying), plus interviews, premieres and book reviews too. One time they even released a pretty killer literary themed charity compilation on cassette to raise some money for Worldreader. Lately they’ve been collaborating a little more within the DIY music community. They’ve teamed up with two other blogs, Swell Tone and Cereal & Sounds, for a series of lovely collaborative playlists called Various Swell Sounds. Which is a really cute name. And the playlists have all been great so far. There’s just a lot of good stuff on VSF. There’s the silly and the serious. You can find beautiful and emotional written responses to vital new music on these pages and you can also find their friends being nostalgic goofs about old records and older books. It’s a nice place. I think I even first heard Camp Cope on their site. I hope you can take a little inspiration from Jon Doyle and their Various Small Flames. As we talk motivation, evolution, ups-and-downs, creative spaces and more, there should be nothing intimidating about their work. They do what they want because they want to and you can too. It’s a friendly place and they do good work. Maybe you have good work to do? Maybe you’d like to be friendly too? I’m Jon Doyle, a writer and eternal student and the head honcho of Various Small Flames. I guess the site started in 2010/2011ish, then as Wake The Deaf, among friends at university. I used to write the odd post here and there, and gradually came to write more and more as it grew. Eventually the others moved on and got jobs and grew up and I just kind of kept going along with my twin brother, Liam, first inheriting WTD and then rebranding as Various Small Flames to fully make it our own. Now it’s pretty much just Liam and I, with the odd guest now and then, which is one of our biggest limiting factors and greatest sources of freedom. Liam works full time and I’m writing and researching and teaching, so there’s not much hope of taking the next step (whatever that means) with two people running something in their spare time. But, on the other hand, it also means we can write about what we like, when we like. When WTD started, we were all studying more practical, science-based degrees, and I think it was an outlet for something a little more exciting and creative. We’re talking the tail end of the golden generation of the MP3 blogs, so I guess at the time it seemed like the obvious thing to start our own. As for why we tend toward DIY or independent artists, I think the main reason is nothing to do with noble aims or intentions, we just gravitate toward the music that speaks to us the most. That said, while we try not to fall into this trap, because no good can come of it, running a music blog can cause a fair degree of brow-beating as to the relative value of spending hours of unpaid writing time a week. While still time consuming and devoid of remuneration (except Submithub, see below), covering independent artists effectively creates a space outside of the uber-capitalistic music industry. We don’t get paid, the artists don’t get paid, and we can digest and discuss their art without any of the pressures that would bring. At least in theory, we want to provide a space outside of targets and thresholds and expectations. Outside of Spotify streams and Facebook fans and Twitter followers. Outside of comparisons and genres, of If You Liked That You LOVE This. Outside of numbers, full stop. Aside from the obvious, with the emergence of streaming over buying/downloading, Submithub is something that has emerged over the past year or so that I feel I should mention. Essentially, it’s a system where people can send songs to music publications, and if they pay $1 then they are guaranteed a minimum of ten words of feedback within 48 hours. The bloggers get fifty cents for every song they respond to, which is basically nothing but can add up to $10-20 a day. I’m not sure how useful it really is for artists and labels, and there are all sorts of uncomfortable aspects to the idea that people pay an (albeit miniscule) fee for us to listen to their music, but it’s literally the only financial benefit we’ve ever had from running the site. It’s not perfect. The daily process on my end is usually pretty frustrating, getting sent perfectly fine stuff in genres and styles we just never cover, then having to explain why without just parroting “it’s not for us.” I’ve been on the other end of the stick, I know how frustrating it is when you send precious work to someone and treat their opinion as validation for your position as an artist, but then also you can’t explain to every single one that the reason my feedback was twenty words long and kind of vague is that I’m just some guy who writes about music he likes getting fifty cents a pop. I’m no gatekeeper, and if you are looking for one then you’re looking at the wrong site in any case. We released a compilation of book-themed songs for the literacy charity Worldreader, and had artists from all over the world design special edition postcards for the physical release. We didn’t raise a ton of money, but it was cool to get so many generous people on board and using their talents to push in one common direction. Otherwise, I’m just always really pleased when someone writes back after reading one of our pieces, be they the artist or label or music fan. It probably takes me outside of the remit of Music Critic, but there’s a special buzz when you spend a good deal of time overanalysing the record to hear the artist respond, and confirm (or deny) your interpretation of the work. Liz Pelly has done some great writing on algorithms and streaming services for The Baffler (here and here), highlighting the insidious creep of something hideous that is only getting worse. It’s part of a wider societal trend where we seem willing to place trust in arcane systems, as if they know better than other people, when really they are serving in the benefit of larger, even more arcane systems that have spiraled out of our control. Music, fiction and the like should be pushing back against this, not falling into its loving embrace. The other thing, as alluded to above, is the capitalist pressure on music publications, and the effect this has on music writing and its ability to shine a light on those who need it. The ‘big’ spaces for independent/non-corporate music like Pitchfork and Stereogum now write about the biggest stars, in order to generate enough clicks to keep themselves afloat. As fascinating as Beyonce’s wardrobe or Bieber’s marital status might be, independent artists and labels shouldn’t be expected to compete with such stories, and what’s more, the chance of there being any interesting or critical engagement with music decreases as the space is squeezed. Demarcate a space for ‘work’ that is entirely separate from any other area or activity. I know different people have different constraints, but if it’s possible then somewhere outside the house, a place that you have to travel to in the morning and from in the evening. Making a clear divide between work and everything else is healthier and more productive. 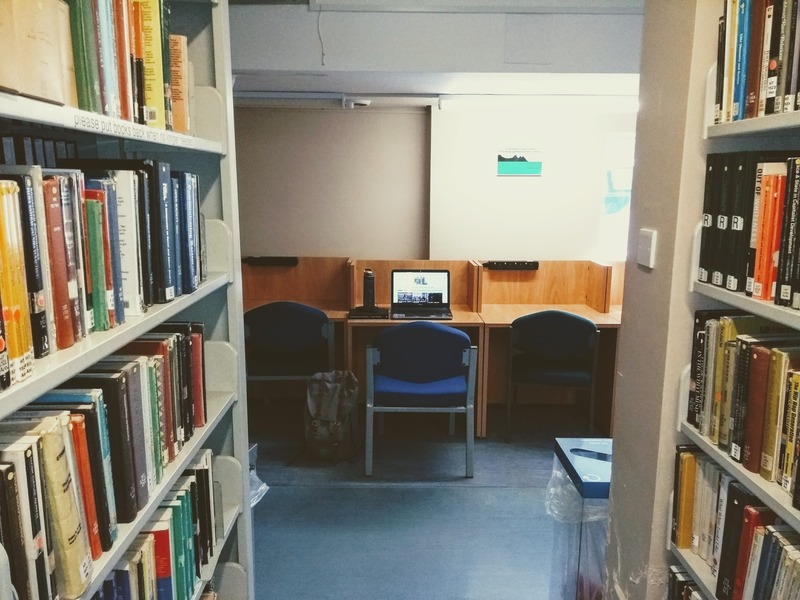 Ideally, it is somewhere that doesn’t require you to spend money, so I use the library rather than a coffee shop. This is either encouraging or dispiriting, depending on how you look at it, but it’s worth noting that the only thing keeping every blog alive is the perseverance of those who run it. There’s an illusion I think that after a while you Make It, but the reality is that there’s no difference between a blog that’s been running seven days or seven years in terms of life expectancy. You either keeping posting or you don’t, your blog is either alive or not. You’ll always wish more people read your pieces, and that you got better exclusives or whatever. You’ll always have this nagging suspicion that it’s a complete waste of your time. The trick, at least for me, is to use this in your favour. If the mythical destination is always creeping over the horizon, then you might as well just enjoy the journey. Shana Hartzell from Swell Tone is doing cool things, getting far more inventive than us in terms of what a music blog can and should do. Photo courtesy of Jon Doyle. You can follow Various Small Flames on Twitter, Facebook, Instagram, Hype Machine and Bandcamp and then, best of all, you can read their wonderful website here. You can find more music Adafruit is loving right now in our ongoing MusicMakers (feat. Frankie Cosmos, Jeffrey Lewis, Bedbug, Cloud and more) and TrackTalk features (with Trust Fund, Haiku Salut and Shay Spence). If you missed the previous TasteMakers features with The Grey Estates and Stories About Music then you can read those here.